SERIELAND - fordi vi elsker tegneserier • Vis emne - Fleetway Picture Library Classics presents LARRIGAN ltd. ed. Fleetway Picture Library Classics presents LARRIGAN ltd. ed. Titel: Fleetway Picture Library Classics presents LARRIGAN ltd. ed. 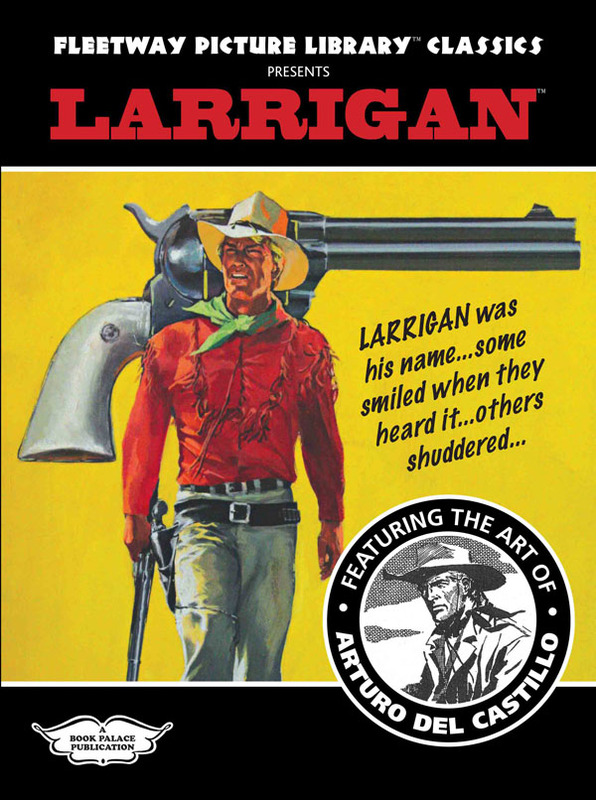 Stirring collection of four complete 64 page stories by Del Castillo featuring the classic Western strip Larrigan. Reprints Lone Rider Picture Library #1, #4, #9 and Cowboy Picture Library #463 from 1961/62; plus comprehensive artist checklist and introduction.